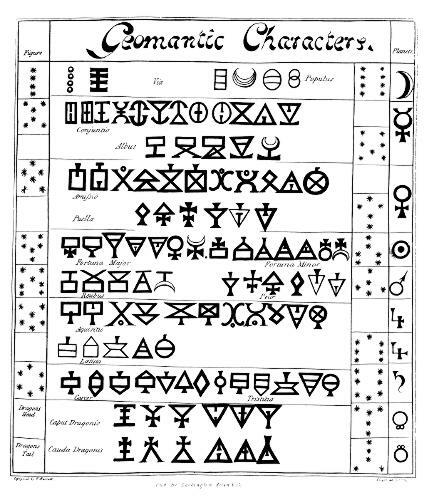 This plate gives the various geomantic characters together with ther names (Via Populus, Conjunctio, Albus, Puello, Fortuna Major and Fortuna Minor, Reubus, Peur, Aquisitio, Lætitia, Carcer, Tristiia, Caput Dragonis [Draconis], or Dragon’s Head, and Cauda Draconis, or Dragon’s Tail. 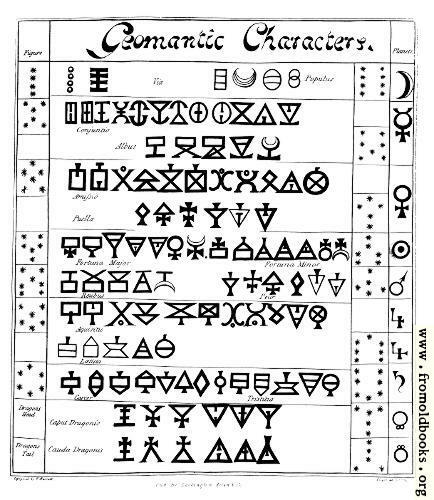 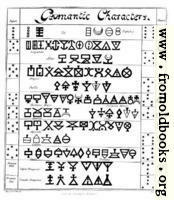 Alchemical symbols and geomantic characters are also given. 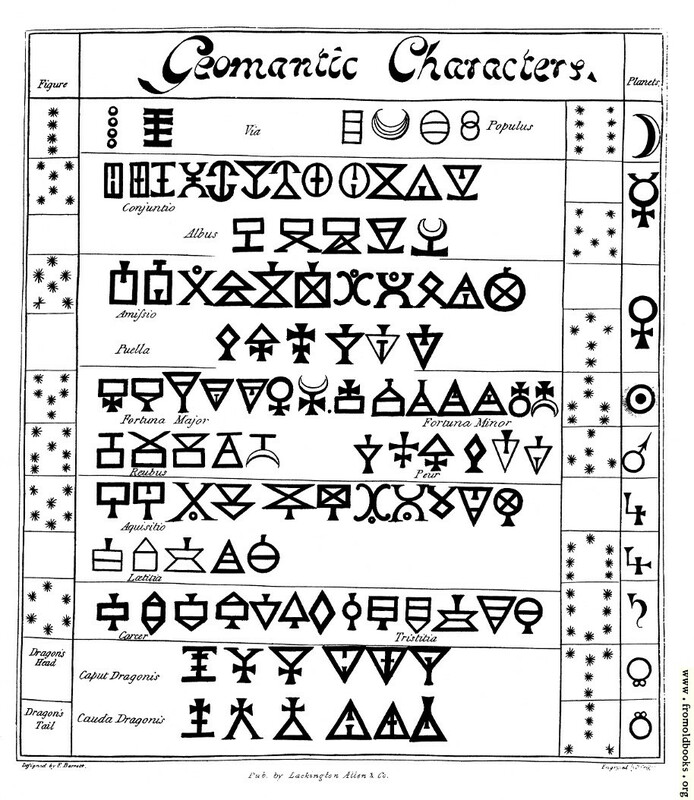 The plate does not appear to be mentioned in the text of the book.